1. 1st day: Login to receive 1000 Crystals and 1000 VIP Experience. 2. 2nd day: Login to receive 1500 Crystals and 1500 VIP Experience. 3. 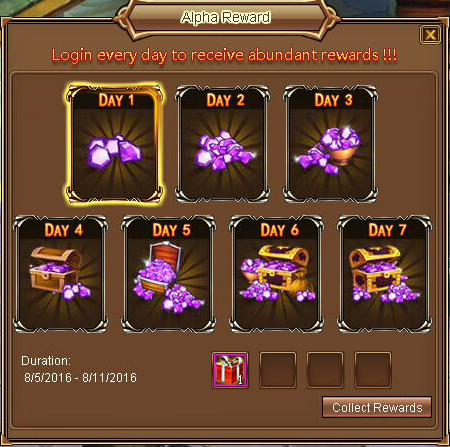 3rd - 7th day: Login to receive 2500 Crystals and 2500 VIP Experience.